Swap the Recency Architecture of Cheltenham for the Cotswold stone built villages. The colour of the Cotswold stone varies according to the stone quarry used. 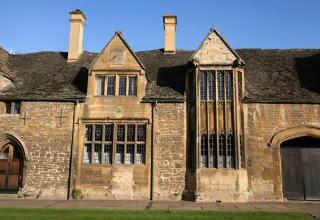 As a general rule buildings in the North Cotswolds tend to be built of honey coloured stone. Choose a set itinerary tour or a bespoke one. Part of the magic of a Cotswold Holiday is to imagine the Stonemasons building these beautiful village buildings. There are villages with buildings over 300 years old that have hardly changed over that time. 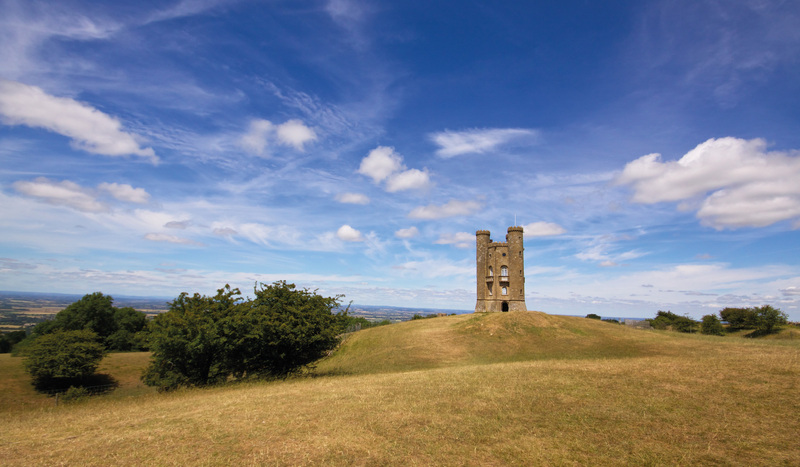 The Cotswolds lend themselves to heritage tours. This house shown above was built by William Grevel one of the country’s most influential wool merchants. It was built in about 1380 and would have been one of the first to have chimneys instead of just holes in the roof. No tour of the Cotswolds from Cheltenham would be complete without visiting the lovely unspoilt villages of the Slaughters. Both Lower and Upper Slaughter flank the lovely Eye stream. In Lower Slaughter there are some picturesque small bridges and the local attraction is a converted mill with its original water wheel. 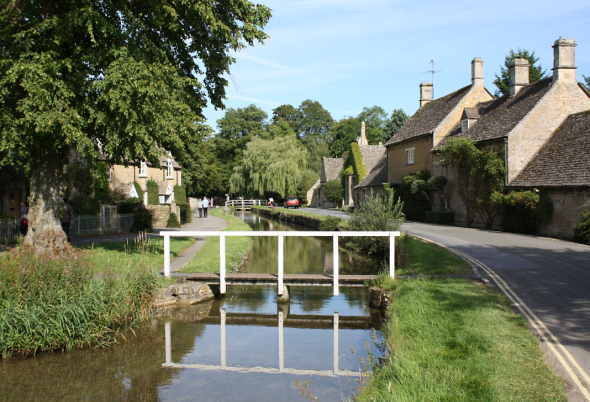 Upper Slaughter has a ford where vehicles can cross the Eye. 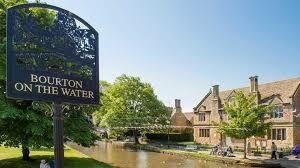 Bourton on the water has been described as the ‘Little Venice’ of the Cotswolds. It straddles the river Windrush with its series of elegant low bridges beside neat tree-shaded greens. 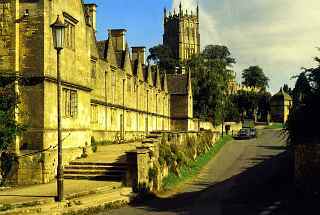 Many Cotswolds tours visit Bourton as it has many shops, cafes and attractions. 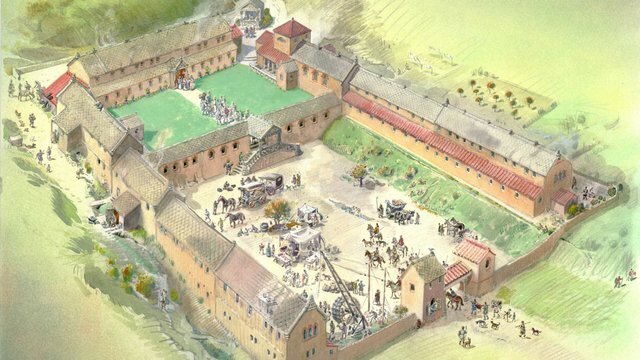 The Romans were attracted to the Cotswolds- so much so that they built a luxurious villa near the village of Chedworth. There are 14 other Roman Villas within a 10 mile radius of Chedworth. The earliest buildings at Chedworth existed in the 2nd Century AD.These were improved and extended, reaching its heyday in the 4th Century.It was a place of wealth, luxury and comfort. There were stunning mosaic floors, extensive bath house rooms and many marble features.